Hey there and welcome back to the Mojica Plumbing & Drain Cleaning blog. While we’ll usually use this space to talk about plumbing related subjects, we can’t ignore the tragedy that’s overcome Houston. Texas is a strong state, and when things like this happen, we stick together. Luckily, Austin and the surrounding areas were safe from disaster, but that doesn’t mean we weren’t affected. As a plumbing company in Austin, Texas, we feel it is our duty to play our part in assisting those in Houston. While a blog post dedicated to Houston is nothing in comparison to what the first responders and volunteers are doing for the victims, it’s better than any old post on plumbing. If you’re looking for ways to support the victims and first responders, you’re in the right place! Austin residents feel especially connected to those affected by Harvey because we share a state with them. Texas is a family, regardless of your city. Here are some of the ways you can help if you’re located in the Austin area. The best and easiest way to contribute to the Harvey causes is to eat. Easy enough, right? Texans know the importance of a good meal, and dozens of restaurants in the area are setting up fundraisers in their establishments. Here are some of the restaurants that you should stop by at sometimes this week! Poke Poke: like sashimi? We do, too! Both locations of this yummy restaurant are donating $1 per every meal sold to the American Red Cross. Red Horn Brewery: who doesn’t like an ice cold Texas brewed beer on a steamy day? Feel even better about your drink knowing that the brewery is donating $1 per every pint of it’s Rain beer to hurricane Harvey relief funds. Freedmen’s: spread the barbeque goodness around! This yummy Texas BBQ joint is collecting donated goods at their restaurant this entire weekend that they will deliver to Houston next week. Cane Rosso: what’s better than pizza? Perhaps a year’s supply of it! This pizza joint is selling $50 dollar raffle tickets for a year’s worth of pizza. They’ll donate all of the proceeds to Harvey relief organizations. Vegan Nom: hey, so what if Texas isn’t the most vegan-friendly of all of the states. That doesn’t mean Veg restaurants don’t exist! If you’re vegan and care about more than just animals, stop over to this joint. They’re donating 10% of this weekend’s proceeds to Harvey relief! Of course these five restaurants aren’t the only ones that are doing their part. If you want a longer list, please check out Eater Austin’s site, as they’ll give you all of the details! Yeah, a yummy Austin meal is great! But there’s more you can do. Here’s a few causes our Austin plumbing company recommends checking out. Central Texas Food Bank: This is an especially large hunger organization that it taking monetary donations to assist with putting together nourishing meals to those affected by the disaster. We are Blood: Given the amount of injuries that have been sustained from the hurricane and flood, this organization is accepting blood donations that they’ll use to assist those in Houston. Austin Animal Center: Thousands of animals and pets have also been affected by the flood, and Austin Animal Center is anticipating having to take in hundreds of animals. If possible, consider fostering. If that isn’t an option, they’re also accepting donations. Hurricane Harvey Relief Drive: A few Austinites have come together to form a supplies drive for the victims of Harvey. You can drop off supplies to the Hope Family Thrift Store on 51st store. 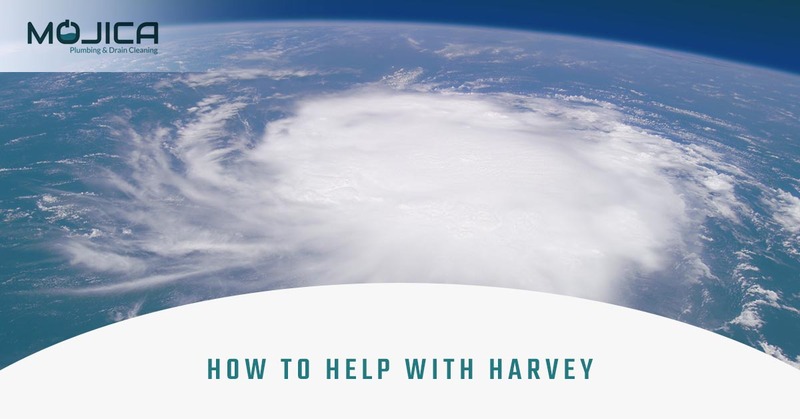 Hurricane Harvey Relief Fund: this is a Houston based website that’s using the funds to directly assist the victims and first responders. You can donate any amount with a debit or credit card. American Red Cross: the Red Cross is a well known, international organization that provides relief to people during disaster. They are currently accepting monetary donations on their site! United Way of Greater Houston: this organization helps with immediate relief as well as long term help with assisting people with readjusting after the flood. You can donate via their website! When donating to hurricane Harvey related organizations, be discretionary. There are a lot of scam sites that are unfortunately trying to make money off of a disaster. The sites that we’ve included above are legit and they’re doing a great job in helping the people who need it the most. Don’t mess with Texas, even if you’re a hurricane. We will fight back. If you’re in the Austin area, definitely stop by some of the restaurants and drives. If you’re not, an online contribution will go a long way. Nothing can take away the trauma of this disaster, but we can at least do our best to try. Thanks for reading and maybe we’ll see you at one of the fundraisers. Mojica Plumbing & Drain Cleaning plumbers sure love a good meal after a long day of plumbing.